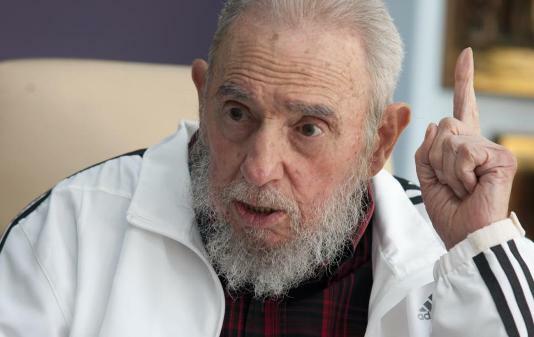 The Cuban leader Fidel Castro has died at the age of 90, said his brother, President Raul Castro, in a speech on State television on Saturday. The historic leader of the Cuban Revolution died on the night of Friday, November 25, at 22.29 hours, and his remains will be cremated “attending his express wish”, said Raul Castro, visibly thrilled. The President added that in the coming hours will be announced how carry out the funeral of Fidel Castro, who was last seen on 15 November, when he received at his residence to the president of Vietnam, Tran Dai Quang; ; and the last time he was seen in a public place was on 13 August, on the occasion of his 90th birthday in a ceremony at the Karl Marx Theater of Havana. On that occasion was seen Castro with a fragile looking, wearing a white track suit and flanked by his brother Raul and the president of Venezuela, Nicolas Maduro. Since his birthday has also received at home to other leaders such as Iranian President Hassan Rouhani; that of Portugal, Marcelo Rebelo de Sousa; of prime ministers of Japan, Shinzo Abe; of China, Li Keqiang, and Algeria, Abdelmalek Sellal.